Sweet and mild, gentle and easygoing—what is there not to like about “Baby Jesus”? On the other hand, what sort of difference can Baby Jesus really make in your life? And why should you care about him in particular? At Christmastime people are more aware of the difficulties in their lives, yet they have a feeling that everyone else’s life is perfect. Because of that, Christmas is bittersweet. The truth is that Christmas is not a message about how to prosper financially, or have emotional happiness, or “live the dream.” Christmas is a message about how all of us can find help from Jesus to handle our problems and live in a way that honors God and is eternally satisfying. 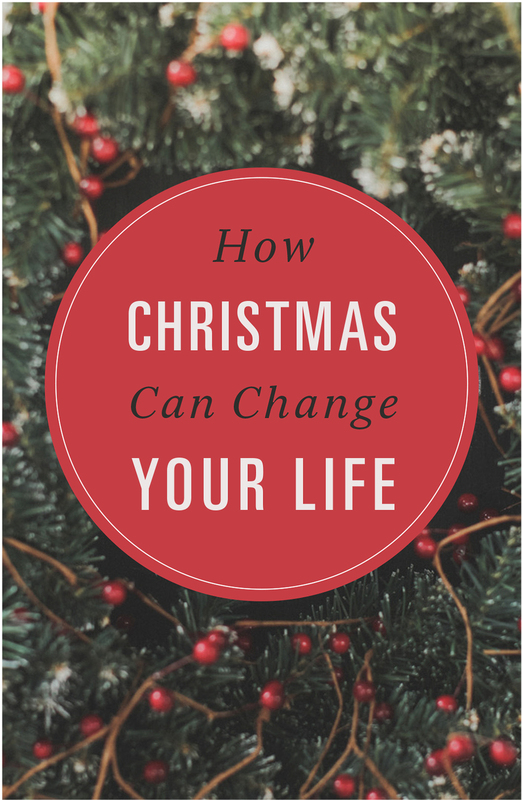 The story of Christmas in God’s book for humanity, the Bible, is so much more than Baby Jesus. God’s Son, Jesus, did more. He said more. He lived more. He died on a cross like a criminal, then he rose from the grave. At Christmas we don’t just celebrate the sweet Baby Jesus. This Jesus became a man—fully God, fully man, in one person—for our sake, to bring us to God. Yet he is presented at Christmas in stunning humility. The God of the whole universe condescended to be born in a stable, surrounded by poverty and immense indignity. The message of Christmas, with all its sweetness, offers us hope. Christ has come to rule in our hearts. This offer gives more than anything offered by this world. The message of Christmas is more important, longer lasting (nothing can beat eternity), more pleasurable, and more honoring to God. However, there is a problem. We are radically cut off from God by our sins and rebellion against him. And God must judge sin, because he is holy. A holy God is faced with rebels whom he made—yet he loves them! The Bible describes it this way: “All we like sheep have gone astray; we have turned—every one—to his own way” (Isaiah 53:6); and, “All have sinned and fall short of the glory of God” (Romans 3:23). God’s solution was for his Son to be born as a man, live the perfect life, and die the perfect death as our only acceptable substitute, solving our alienation from God. God loved us enough to send his Son to die in our place, perfectly expressing the twin poles of God’s character—love and justice. “Christ Jesus came into the world to save sinners” (1 Timothy 1:15). And “there is one mediator between God and men . . . who gave himself as a ransom for all” (1 Timothy 2:5–6). God’s sacrifice of his Son was the perfect expression of his absolute justice and unbounded love. We should care about this baby because of all he did for us. He died on a cross like a criminal, even though he was absolutely sinless. Then he rose from the grave three days later, which proved that the punishment for our sins had been accepted by God the Father in full. “God . . . raised him from the dead and gave him glory, so that [our] faith and hope are in God” (1 Peter 1:21). Christmas is not sentimental; it is instrumental. That’s why we should care about Baby Jesus. Certainly the traditional songs, the trees, and the lights are all fine in their place. But Christmas is not a sentimental feeling; it’s an instrument of change. It all starts with humility—the humility to recognize that the instrument that God uses to change your life is found in a manger, in a stable, in the middle of nowhere. Change comes by embracing the truth that there is nothing you can do to satisfy God’s justice other than to believe that the Lord of heaven and earth became Baby Jesus in order to be your Savior. How will you respond to him this Christmas?